Save on Windshields at Hit The Ice Box. 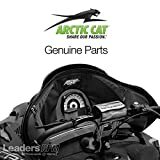 Top brands include JSP Manufacturing, Polaris, KORONIS, Arctic Cat, & Koronis. Hurry! Limited time offers. Offers valid only while supplies last. 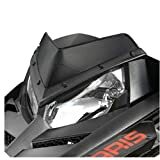 1991-1998 POLARIS LITE POLARIS WINDSHIELD CLEAR, Manufacturer: KORONIS, Manufacturer Part Number: 450-237-01-AD, Stock Photo - Actual parts may vary.